DRIVE-thru legend Barb Ehrlich was playing ball with her grandson when she noticed her first and only sign a "silent assassin" had taken hold within her. The KFC employee, who has gained notoriety for being the Coast's number-one in customer service, went to the doctors on December 7. 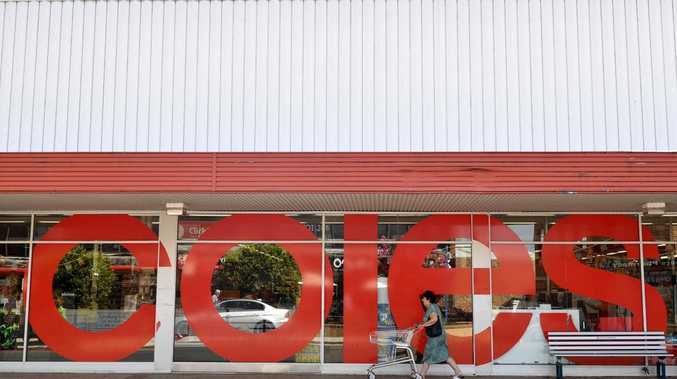 Three days later she was in the Royal Brisbane Hospital. What she thought was weakness in her right side was actually a symptom of an aggressive, stage-four brain cancer known as glioblastoma multiforme. Surgery removed the bulk of the tumour, but a "tail" remains as to remove it would risk paralysing the right side of Barb's body, or it could impede her speech. 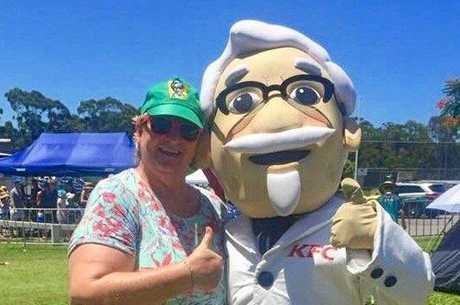 Barb Ehrlich was diagnosed with stage-four brain cancer, which has forced her to leave work after more than 30 years with Maroochydore KFC. "When I cam out of anaesthetic, the first thing I said was 'If you put that in a combo, it's 15 cents less and you'll get a drink with that'," she laughed. When the anaesthesiologist was stumped, Barb explained she had worked at KFC for 32 years. True to the Barb the public has come to love, she was unwavering in her positivity when she told the Daily her cancer battle had so far been a "good experience". "Well, as good as possible with a hole in your head," the high-spirited grandmother said. She explained no matter how much treatment she receives, doctors said the tumour will grow back. She will take a chemotherapy pill daily for six weeks while she undergoes targeted radiation at the Sunshine Coast University Hospital. "I don't know what's going to happen, maybe the radiation will kill these cells that are left, but it's one day at a time," she said. Yet Barb remains hopeful to return to the drive-thru where her "extended family" have already noticed her absence. In less than 24 hours, 172 people had donated a combined $5000 to Barb's Brain Cancer Fight GoFundMe, which has a $25,000 goal. About 50 messages of support revealed the impact Barb has on everyone she meets; be it a one-time customer chasing some fries, or her regulars who she now considers "extended family". Barb said she felt honoured to now be serving the children and grandchildren of people she knew when she first started out with the Aerodrome Rd business aged 15. Kerri Cavanagh believes the world will be a "much better place with more Barbs in it" and thanked her for supplying her with works burgers during her pregnancy 18 years ago. Money raised will help Barb with the cost of her treatment, and bills as her illness has rendered her unable to drive or work. To show your support, search "Barb's Brain Cancer Fight" on GoFundMe.com. Spencer Davies: Barb is an absolute aussie icon and a Sunshine Coast legend. She's selflessly spent years putting smiles on people's faces with her heart as warm as any mothers. Please help her and her family through these times! Ashley Bengtson: Barb is one of the most kind hearted and pleasant person whom I have spoken to at a drive through. She makes everyone laugh and has excellent people skills. Ashton Wood: Anyone who can dish out KFC for 30 years to hungry animals like us and still be smiling, deserves the best care she can get in this trying time. Teigan and Markus Konig: If you ever been to Maroochydore KFC - I cant bet you Barb made your day! I kid you not if I was ever having an off day, sad, lonely - I would go through the KFC drive through to get even a small chips just to speak to her chirpy lovely self and I would always leave 100 times happier. If you can, please donate to help get the medical care she needs.